September 25, 2012  A musical adaptation of Daphne du Maurier's Gothic novel Rebecca was set to come to Broadway — until the existence of its major investor came into question. 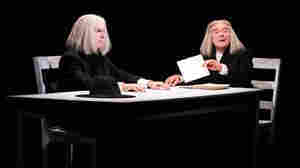 New York Times theater writer Patrick Healy discusses the mystery on All Things Considered. September 18, 2012  Samuel Beckett, the author of Waiting for Godot, is known for the spare, modern rhythms of his plays. Now, as Jeff Lunden explains, the off-Broadway show Sounding Beckett brings together three of the playwright's short works with new pieces of contemporary music they inspired. 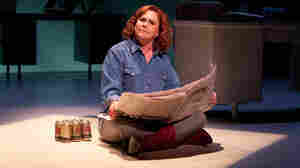 September 6, 2012  Academy Award nominee and Golden Globe winner Kathleen Turner stars as the sassy Texas newspaper columnist in the comedic one-woman show. Turner talks about the role, her career and the challenges of playing a political character. 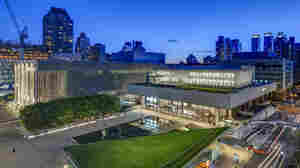 September 4, 2012  Lincoln Center and the Brooklyn Academy of Music recently opened new, smaller theater spaces designed by architect Hugh Hardy. There, new works can be performed without the financial pressure of filling a large theater — and with cheaper tickets, they can attract the younger generation, too. August 30, 2012  The actress plays Bess in the Broadway musical Porgy and Bess. The show, which won two Tony Awards, closes next month. August 30, 2012  After a three-year hiatus, satirist Gerard Alessandrini is back with Forbidden Broadway: Alive and Kicking! Alongside Once and The Book of Mormon, they also target the Broadway-centric TV series Smash — but like all good parody, the skewering comes from a loving place. 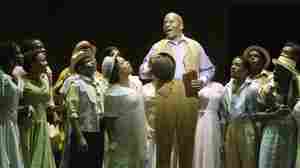 August 30, 2012  The stand-up comedian and star of In Living Color played Sporting Life in the opera Porgy and Bess. The show, which won Tony Awards, closes on Broadway next month. August 29, 2012  The actor was born in 1937 to a Japanese-American family that, after Pearl Harbor, was sent to live in internment camps for the duration of World War II. 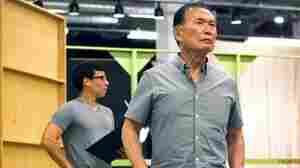 His experience growing up in the camps inspired a new musical, Allegiance, which Takei also stars in. 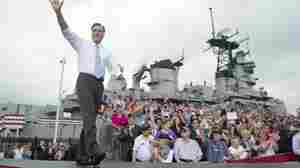 August 23, 2012  As the party conventions approach, elaborate theatrics on the part of presidential candidates are at the forefront. NPR critic Bob Mondello takes a look at the ways campaigns frame their candidates to make them stand out like Broadway stars. 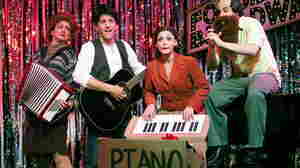 August 10, 2012  Stephen Sondheim's fractured musical fairy tale is getting a major revival in Central Park. NPR's Trey Graham had a look. 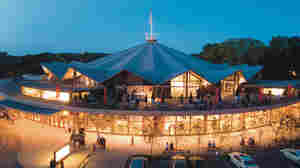 August 7, 2012  When it opened in 1953, nobody expected much of the Stratford Shakespeare Festival. 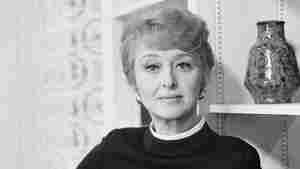 But what began 60 years ago as two plays in a tent is now a major theater festival. It attracts half a million ticket-buyers a year to the small Ontario town — which also boasts homegrown heartthrob Justin Bieber. 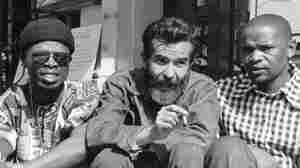 August 1, 2012  South African playwright, actor and director Athol Fugard was a thorn in the apartheid regime's side. Now 80, he calls any suggestion that he would slow down "nonsense." July 27, 2012  The International AIDS Conference isn't only about medical research. People from around the world met at its Global Village to share their experiences with the AIDS epidemic through music, art and dance. This year's highlights included a condom campaign and lube tasting booth. July 26, 2012  'Michael Jackson: The Immortal World Tour' is currently the top grossing live show in North America. The Cirque du Soleil production earned more than $79 million dollars the first half of this year alone. But it's pretty easy to be the hottest ticket in town when your primary focus is the King of Pop. Host Michel Martin speaks with the show's artistic director Tara Young about the concert-like, acrobatics-infused tribute to Michael Jackson. July 15, 2012  The Academy Award-winning actress was a star on both stage and screen, best known for roles in Gentleman's Agreement, All About Eve and Oklahoma!